Have a horse-crazy kid at home? We can help you plan the perfect children's party for a horse-lover! 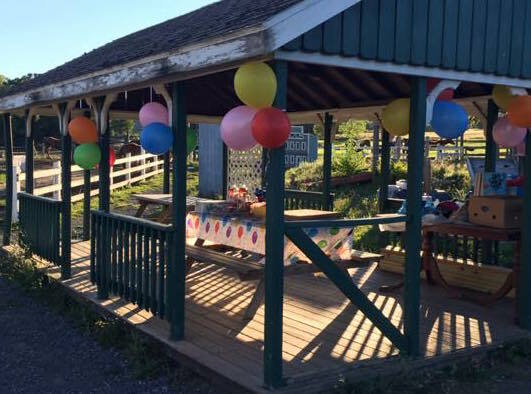 We host pony parties here at our farm, or we can deliver to your location! For our younger horse enthusiasts, we offer pony rides on our farm. Parents must be present for the duration of the pony ride. One pony delivered to your home or event for an hour and a half. 1 Handler will be provided. We will provide a second horse or pony at no cost for the first hour and a half. Includes a pony (or two - see above) and a petting zoo delivered to your location. 2 handlers will be provided for an hour and a half.